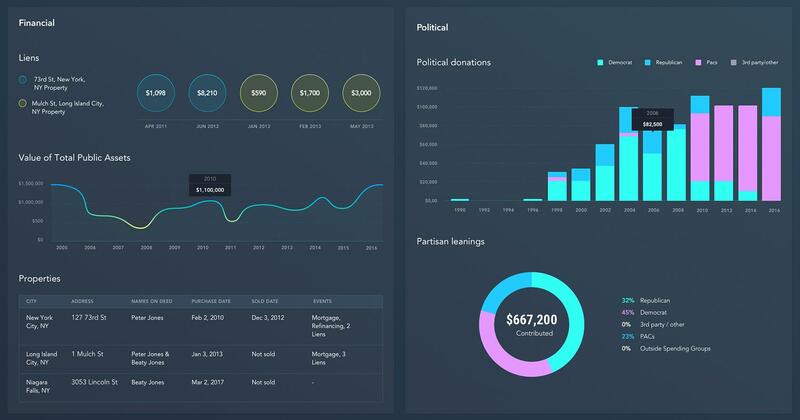 Dashboards are a unique and powerful way to present data-based intelligence using data visualization techniques that display relevant, actionable data as well as track stats and key performance indicators (KPIs). Dashboards should present this data in a quick, easy-to-scan format with the most relevant information understandable at a glance. In this article, we outline strategic, analytical, operational, and informational examples as well as the fundamental principles that lie at the heart of every successful dashboard design, regardless of its type. Having the right approach to data visualization is a key feature in laying the foundation of a successful dashboard. Data visualization is the presentation of data via graphics and pictures—its primary objective is to help decision makers identify patterns or understand difficult concepts that may go undetected in text-based applications. An effective dashboard shows actionable and useful information at a glance. It simplifies the visual representation of complex data and helps stakeholders understand, analyze, and present key insights. 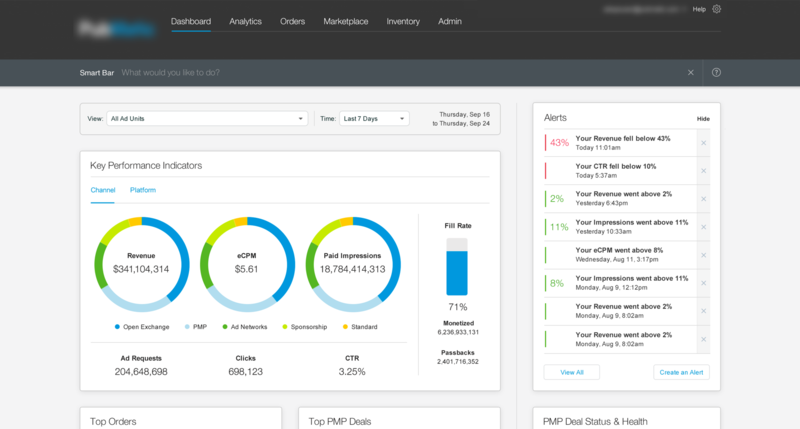 Great dashboards are clear, intuitive, and customizable. They display information clearly and efficiently. They show trends and changes in data over time. The most important widgets and data components are effectively presented in a limited space. An initial customization of visual data and information to key user requirements will help improve usability and eliminate the need for different user personas. Great dashboards provide everything one click away. All essential information is immediately accessible. Information is displayed clearly in a visual hierarchy on one screen. The design provides a coherent overview that includes sparse, clear initial data with additional opportunities to drill down for more. Elements (chart, table, form) are displayed in a minimized view with the ability to bring up more details in a modal window or go to a page with more detail. 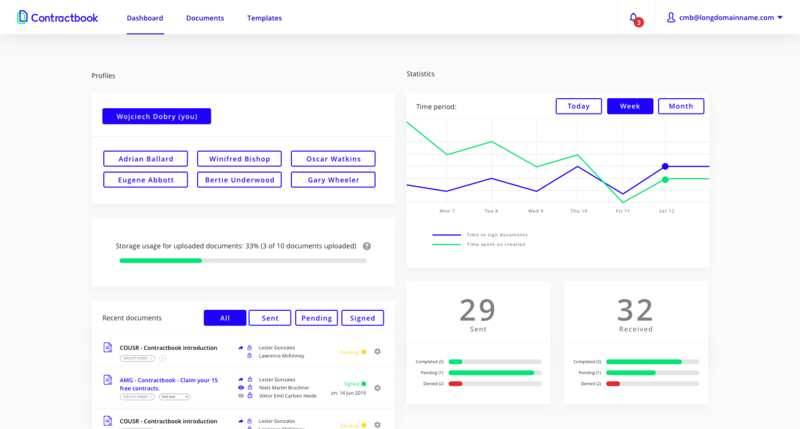 The design improves usability with filters allowing users to customize how data is displayed and filters content using labels, categories, and KPIs. In a world overwhelmed with data, providing clear information is one of the most difficult things to accomplish. Presenting only the most relevant data on dashboards is essential—the more information we display, the harder it is for users to find what they need. When faced with too much data to select from, designers should display only the most relevant subset. We need to prioritize and carefully remove misleading and unclear metrics. The core objective of a dashboard is to make complex information accessible and easy to digest. Therefore, the interface presenting the data should be clean and straightforward in order to minimize users’ cognitive load and time spent searching. The information architecture should present the essential data first while allowing access to supporting or secondary metrics. A progressive drill-down system should be designed that starts with a general overview and then goes into more detail—it facilitates data prioritization, and creates clarity. Successful dashboard designs begin with a well-defined set of goals focusing on the problem to solve and the key learning to take away from the data set. Setting up these goals comes from a clear understanding of what tasks the user needs to perform. Good design goals promote efficient and precise execution. Employing the S.M.A.R.T framework for goal setting puts the focus on specific, measurable, actionable, realistic, and time-based objectives. How many steps do users need to take to achieve a specific goal? Is the interface intuitive enough for the user to reach their goal on their own? What information does the user need to successfully achieve their goal? 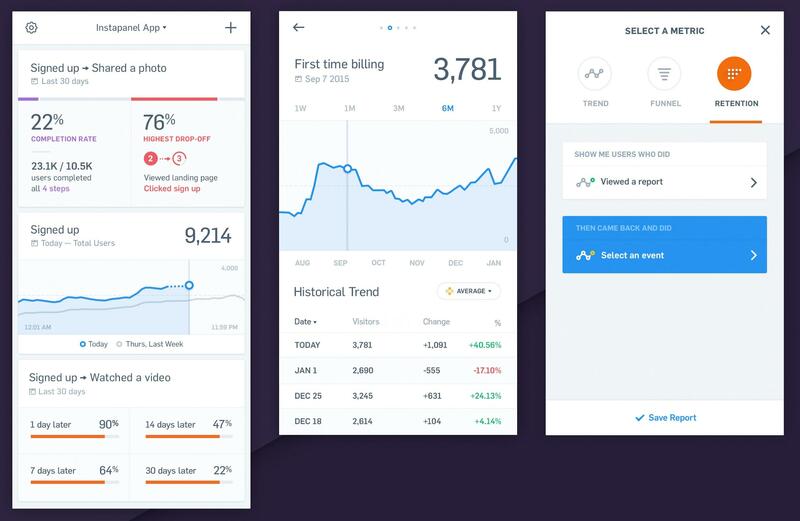 To determine what the goal of a specific dashboard design may be, define it by asking, “What specific problem is this design going to solve for the user?” The answer will provide insights on what metrics, properties, values, visuals, and data are of consequence. Goal-centric design focuses on solutions to real problems and is the foundation for all great dashboard design. Start with a clear understanding of business objectives, consider user goals, and then convey the key information that needs to be communicated. 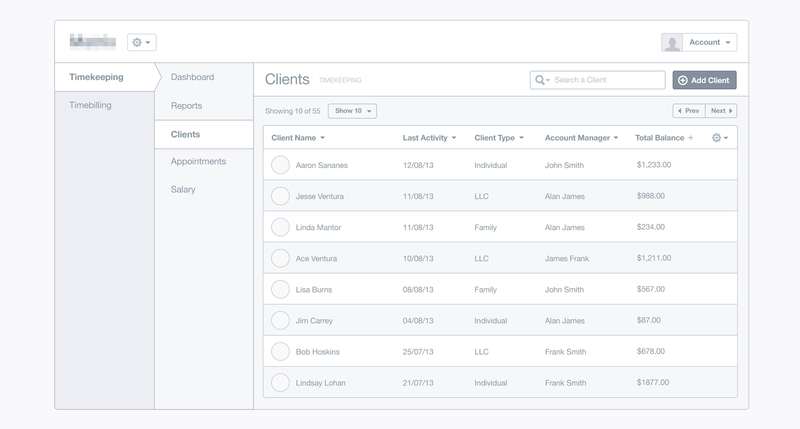 One of the biggest challenges of dashboard design is serving multiple personas. Once each user role is defined, it becomes critical to understand where their needs overlap and where they diverge. Effective communication is the underlying principle of every successful dashboard design. Foreseeing potential scenarios in which users may find themselves will contribute to a better understanding of the user’s circumstances. Always keep users context in mind when designing—identify their technical knowledge, their familiarity with the system overall, their goals, and so on. Does the design consider the direction the visitor is used to reading in? Does interaction with the dashboard require technical knowledge? Will users manage to accomplish most of the actions in just a few clicks? Does the design align with user context by creating drill-down menus; does it use suggestive iconography and color palettes? The color palette used in a dashboard’s design should also be considered as a context. Many business-to-business SaaS product dashboards are designed in a dark-themed UI because they are used for several hours straight. Dark-themed UIs can help reduce eye strain and support visual clarity within the interface. However, taking this approach requires a careful evaluation of the design direction—the advantages, disadvantages and potential pitfalls as outlined in a previous design blog article: Dark UI Dos and Don’ts. Dashboard UI designs, analytics, and infographics work well on a dark UI but still should be "handled with care" to ensure sufficient contrast (by Alex Gilev). User research helps create an environment in which users are presented with data that is relevant, clear, and concise. This helps them think about the content and the data they’re looking for, rather than how to use and access it. Some dashboards have to work—or be effortlessly customizable to users of different roles looking at the same basic dashboard. User research is important because it helps determine the user’s goals, mental models, environmental context, and pain points. These are factors that greatly influence the final dashboard design. A designer has to define the different user types and understand where their goals are the same, and where they differ. What information is most actionable to one user type vs. another? They must consider if there needs to be a different layout from one user type to another, or if there is a solution for a more general use case. Taking this in mind, it’s a good idea to start with rudimentary wireframes and move on to prototypes that can be tested with actual users during a user research phase. Truly valuable insight can come out of a short user research phase with just five users—and it will save an enormous amount of time down the line. Progressive disclosure is a technique used to maintain a user’s attention by reducing clutter. Creating a system of progressive disclosure assists in creating a user-centric environment, which helps prioritize user attention, avoid mistakes, and save time. 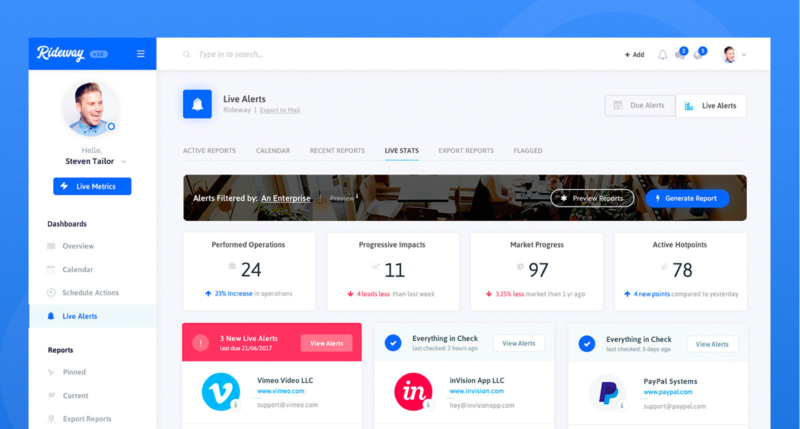 It also allows users to focus on the key features that matter to them and not be forced to go through all of the features—including the ones they don’t need or are not interested in. Progressive disclosure is a dashboard design best practice that will also reduce error rates considerably; it will improve efficiency and help users improve their understanding of dashboards when a system is based on feature prioritization. Animation is a great way to satisfy a variety of user needs while also fulfilling multiple functions. It a great option to use while data and visuals are being loaded and is an advanced progressive disclosure solution. Animation is the process of creating the illusion of motion; it is a dynamic that creates a sense of progress and constant feedback, thereby reducing user uncertainty and increasing perceived performance. Using indicators and disclosures in an inappropriate manner. Short loading times and useless steps will create distraction and work against usability principles. A lag in the retrieval of data without a clear indicator of progress can lead to user uncertainty and higher bounce rates. Using static progress indicators is a solution with little meaning, and does not offer enough information about progress, which can also lead to user uncertainty and higher bounce rates. First and foremost, empathize with your user types and understand their goals. Convey a clear story to users by making use of suggestive visuals, labels, progressive disclosure techniques, and animation. Make the complex things easy by applying user research techniques. Reveal data and information at the appropriate time, in a drill-down system. Use data visualization to express information in a meaningful way. Nice article Stelian. thanks Curious what is your opinion about Vertical Nav vs Top Horizontal navs when it comes to Dashboards. These days i see >75% of dashboard design with a vertical nav. Is there a clear UX advantage(s) or is this just a trend? Great article. Only question is, have you considered color blindness when choosing your color palette? Stelian, what are your thoughts on Google Data Studio. I've been using it for some time now and like the customization and 3rd party integrations including APIs. 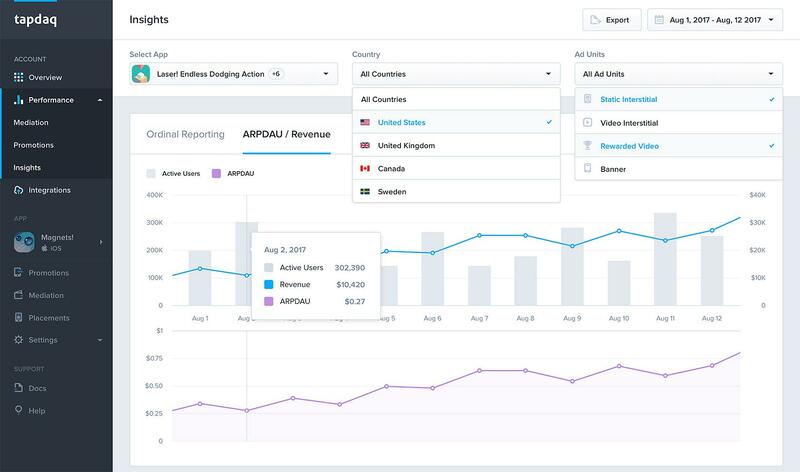 Chris, I think Google Data Studio is a great option for those who want to create live dashboards easily. However, it won't work for everybody. 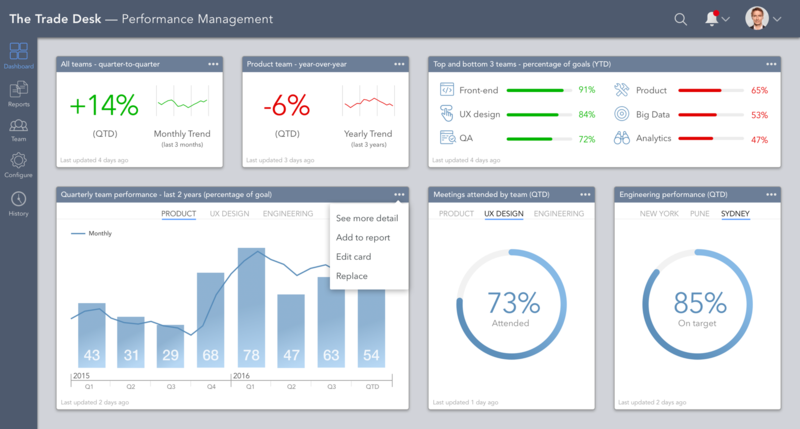 Although the 3rd party integration and customization it offers is good, it can't compete to custom dashboard designs. The main reason for this is the fact that you still have to stick with the provided templates. Great question, Cathline! I feel that issues like these do not get the attention they deserve. I can honestly tell that even in my own design process I rarely think about these issues and I'm wrong in doing so. Considering blindness when choosing a color palette is definitely something every designer should do, yet this has to be done in the right manner. Another aspect to consider is the audience that will be using our designs. Although designing with the colorblind audience in mind is an important thing - we also have to understand whether doing that will not affect the general audience. At the end of the day, I believe a win-win solution is what we should aim towards. Thank you, Artur! I believe it has something of the both. From one standpoint, using a vertical nav has its advantages and sometimes is more suitable/appropriate for the design (for example, when clear navigation is important). Another standpoint is that a vertical navigation is indeed something "trendy" nowadays and is sometimes used inappropriately. Thank you for your thoughtful and lengthy response, Stelian. I should have prefaced my comment with I thought the article was GREAT. It's an excellent overview and piece of writing. I agree that in the end it's the end user. But so often we don't know who that will be. (Think: FitBit) I find rendering the design in gray scale is helpful as I can see if the contrasts are strong enough. Thanks again for replying. That's a great point, Cathline! Checking whether the contrasts are strong enough is an easy thing to do yet so very helpful. I guess all of us have to take notice of this and start doing it (if not already). I think the ease of usage and choosing color palette depends on the targeted country and percentage of color blind people.